For optimum oral health, you must visit your dentist at least every six months for a professional cleaning and checkup. For this reason, the location, office hours, and patient communication style of your new dental office is very important. Is it near my home, and easily accessible? Are the office hours compatible with my family’s schedule? Does this dentist's office accept my insurance? How does this office manage things like appointment scheduling, reminders, and cancellations? Contact your local or provincial dental society for a list of dentists in your area. Talk to friends and family who live nearby; what dentists do they go to? What are their thoughts? After narrowing down your options, read the Google reviews for each one. Now that you have reduced your list of options based on the criteria above, it's time to visit the offices on your list. Visiting will give you the opportunity meet the staff and get to know the office environment, and determine if they are a good fit for your family. The dentists at Academy Dental Group are always happy to welcome potential new patients to come and get to know our office. Just give us a call to let us know you'd like to drop by, and we’d be glad to give you a tour! If you or a member of your family is dealing with a specific dental issue, it may be valuable to choose a dentist with a specialty in that area. At Academy Dental Group in Winnipeg, our on-site periodontist Dr. Reem Atout specializes in treating all manner of gum and gum disease related issues, and helping patients maintain healthy gums. 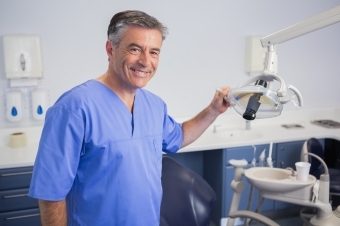 Were the dentists and dental team friendly and easy to talk to? Did they answer all your questions, and provide the information you needed about fees, availability and appointments? Did they explain your treatment in a way that was easy for you to understand? Were your dental health questions and concerns addressed to your satisfaction? Did they address at-home preventive dental care with you, such as brushing and flossing technique? Was the practice clean, comfortable, and well organized? If your answers these questions are 'yes', then this dentist may be a good fit! Our dentists and team are always happy to welcome new patient to our Winnipeg dental office. If you are looking for a new dentist in Winnipeg, we hope you will consider us! If you’d like to book an office tour or an initial dental examination at Academy dental Group in Winnipeg, please get in touch with us any time.